Hailing from the frigid streets of Minneapolis, Minnesota, Stefon Alexander aka P.O.S has been a highly influential rapper and artist for more than a decade. As a founding member of the rap collective Doomtree, P.O.S has been pushing the boundaries of underground rap, using his music to help expand the world’s views since 2001. He is also a member of the Minneapolis “superband” Gayngs, whose members include Bon Iver and Solid Gold. Chill, Dummy is yet another solid solo album by P.O.S, who is not afraid to push his own musical limits and experiment with style. 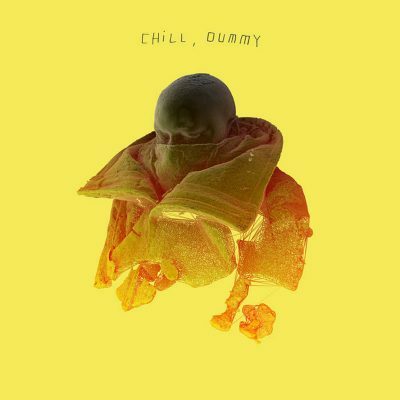 Much of Chill, Dummy is self-produced by P.O.S himself, which is a great break from mainstream rap culture and the superstar producers that dominate the charts. Songs like “Lanes” and “Sleepdrone/Superposition” diverge from mainstream hip-hop sounds. “Lanes” is short and sounds more like the bridge to a rock song than a hip-hop track, but it works. P.O.S is skilled at rapping over almost any beat, and the fact that he produced many of his own instrumentals shows that he had a very concise, clear vision for what he wanted his album to be. P.O.S has always been one of the more experimental rappers to come out of the Rhymesayers Entertainment and Doomtree label family. As a whole, Chill, Dummy is even more experimental than some of P.O.S’ earlier works and features, and it fits his style perfectly. He adopts a modern-sounding approach to rap that is similar to Death Grips at times. P.O.S is unafraid to continue to push the envelope, and it is refreshing to see a rapper who has been around so long strive to improve and change. Too often, artists seem afraid to switch styles or deliveries, and even in Doomtree, there are certain rappers that have become stale. For P.O.S, this is not the case. His ability to compose and create an entire modern hip-hop album will hopefully rub off on some Minneapolis rappers, who have the potential to stay relevant but seem to have slipped in the past five years. Lyrically, all of Chill, Dummy is very strong. P.O.S has spent a lot of time perfecting his craft in meter and delivery. Despite the experimental layers to this album, there is still the strong storytelling component that has defined P.O.S in the past. Songs like “Thieves/Kings” are incredibly technical, using complex rhythmic patterns and a fast delivery. P.O.S raps about relationships, love, success and other themes that seem important to him, which makes each track on the album that much more genuine and heartfelt.